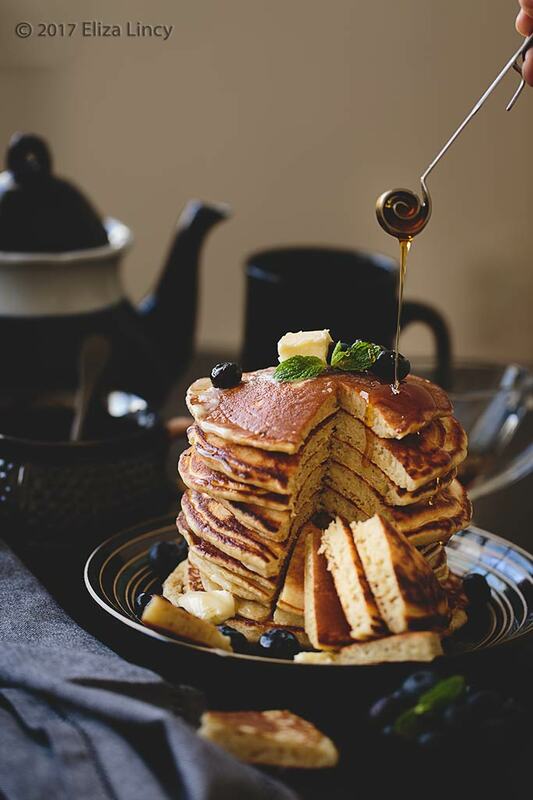 Pancakes come handy for making a quickie breakfast either everyday or on Sundays when we like to keep the cooking simple and do not like to spend more time in the kitchen. That way, I'd say pan cakes are a safe bet. 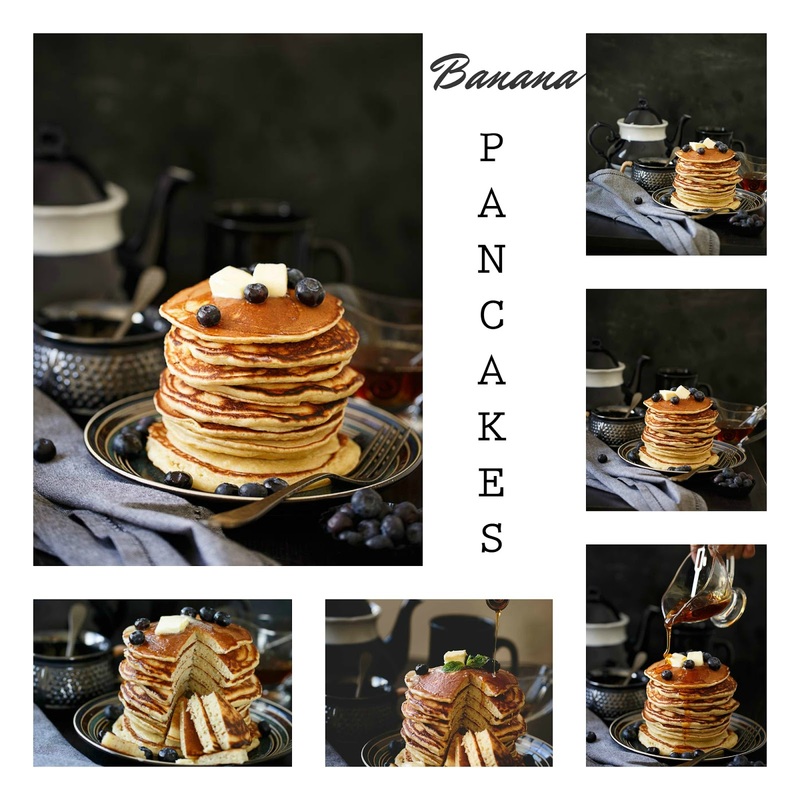 These are fluffy pancakes with banana, I have earlier shared egg less versions too such as Strawberry pancakes, blueberry pancakes and plain fluffy pancakes. 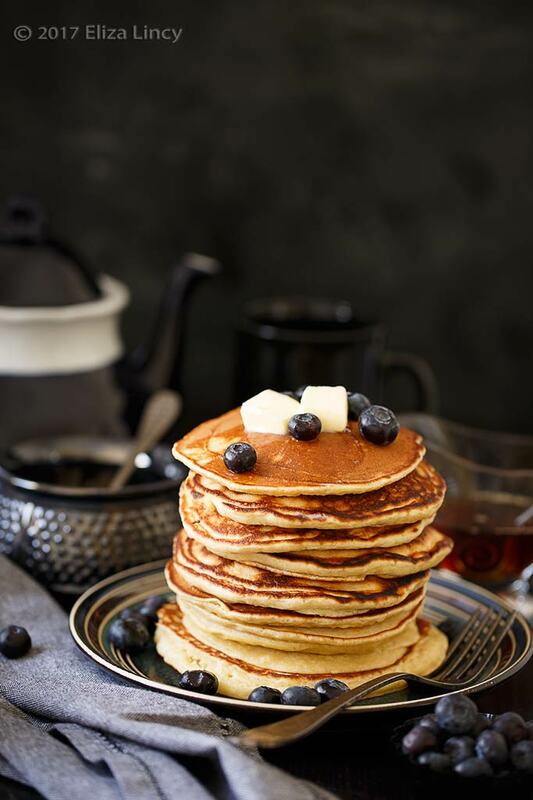 The hot griddle cakes are perfect for kids as an after-school snack. These are simple, quick to make and obviously tasty as well. Mash the banana in a deep big bowl using fork. Beat well with a whisk or hand blender for two minutes. Now take dry ingredients in a strainer and add all purpose flour, baking powder and salt. Sift on top of the wet ingredients and mix gently with a ladle without any lumps. 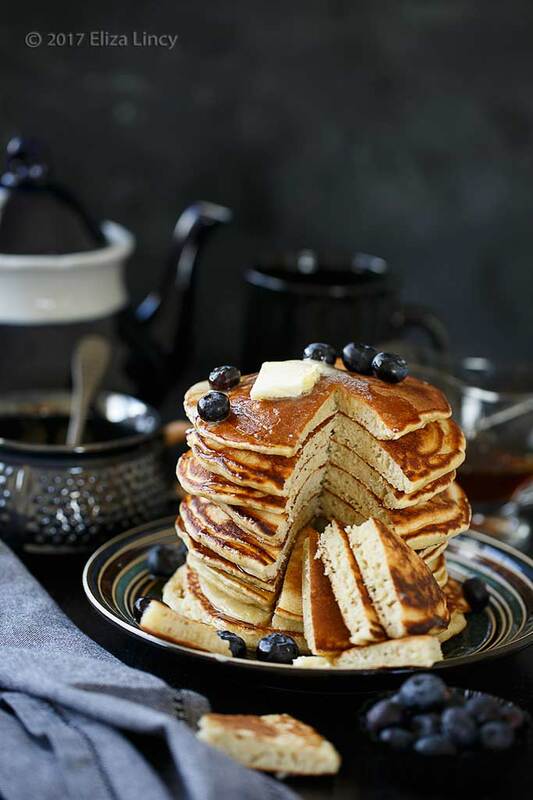 Ensure that the batter is semi thick as it should not be runny or too thick. Allow the batter to rest for 10 minutes. If you are in a hurry you can make it immediately. Heat the flat pan or griddle well and brush it with oil or butter. Pour 1/4 cup of batter and do not spread the batter. 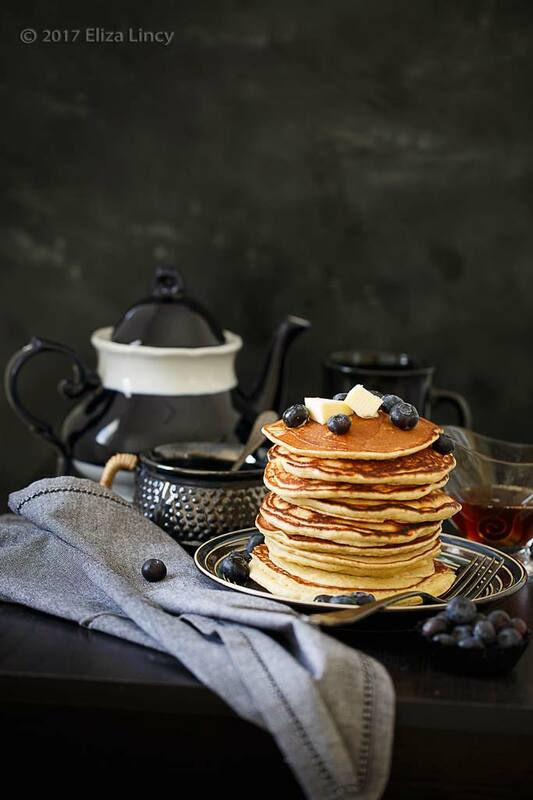 Pour two to three pancakes depends on the availability of space on the griddle. Cook on medium high flame till bubbles starts to appear on top. Now flip the pancakes with spatula and cook the other side till golden. Likewise repeat the process till the batter finishes. 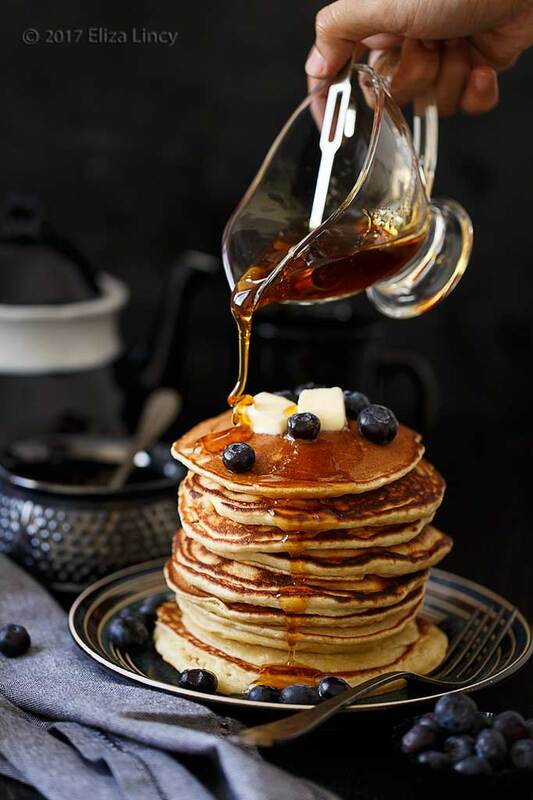 Top the pancakes with pancake syrup, honey, maple syrup or powdered sugar. 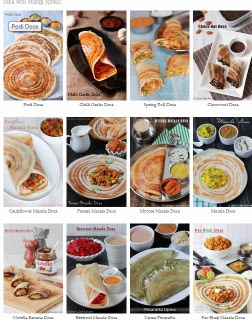 Alternatively you could drizzle nutella, chocolate syrup or caramel syrup. Add some fruits of your choice like any berries or fresh banana slices with some cubes of butter. Note: I use butter in batter and use oil for cooking. 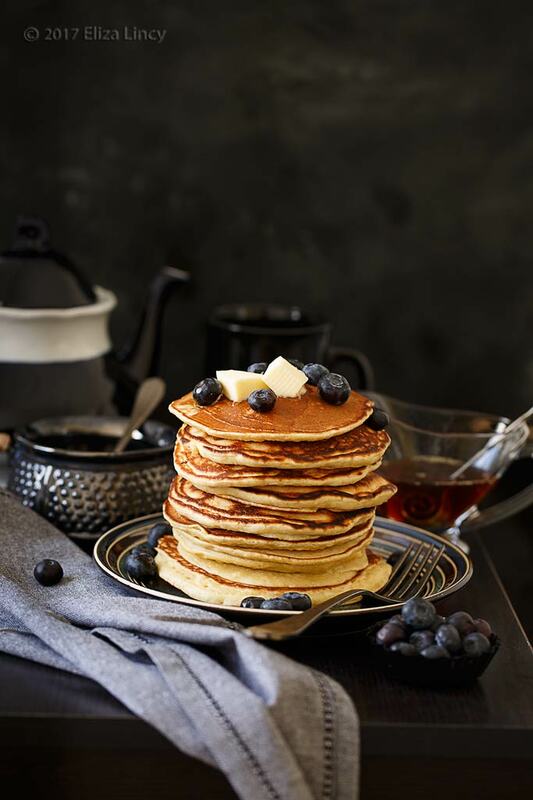 As the flavour of butter gives more flavour for the pancakes. You could use oil in batter and use butter for cooking too. Adding eggs are optional in this recipe but the fluffiness is because of the eggs. \if you want to make it healthy then avoid using eggs. You could use whole wheat flour instead of all purpose flour to make it healthy.